Branding: Consistent ads in print publications can help solidify your brand identity. Employ similar color themes, fonts, and language to make your brand easily identifiable to your audience. Target marketing: Print publications can have highly targeted readership. Publishing ads in niche publications ensures that your message is delivered to a highly targeted audience, something that is more difficult to do in the digital media landscape. Stand out: As more marketers focus campaigns solely in digital outlets, there is a void in print media. 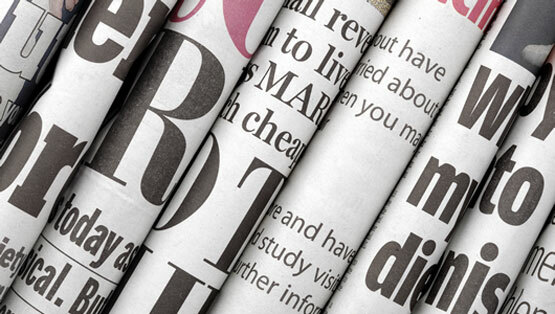 Since less people are utilizing print media, it helps your message stand out when you do. It is important to remember that there are still consumers who primarily read print, and it is effective to reach them through print ad campaigns. While it is important to utilize a variety of marketing channels to reach your audience, print is still a successful medium for communicating your brand message and generating a positive ROI. Interested in exploring your print media marketing strategy? The Harmon Group is here to help. Our team has the tools to develop effective ad campaigns in the right publications for your brand. Contact us today to get started.